Veeman, M.m. and T.S. Veeman. "Canadian Wheat Board". The Canadian Encyclopedia, 30 March 2017, Historica Canada. https://www.thecanadianencyclopedia.ca/en/article/canadian-wheat-board. Accessed 22 April 2019. The Canadian Wheat Board (CWB) was an agricultural marketing board headquartered in Winnipeg, Manitoba. Established in 1935, for much of its history it was the sole buyer and seller of Prairie wheat and barley destined for export from Canada or for human consumption in Canada. Referred to as the “single desk,” under this model it was illegal for farmers to sell their grain to anyone other than the CWB. Following a change in government policy, the single-desk model was discontinued in August 2012, and the CWB became a voluntary marketing organization. In July 2015, G3 Global Grain Group purchased a majority stake in the CWB, creating a new firm called G3 Canada Ltd. The company’s headquarters remain in Winnipeg. 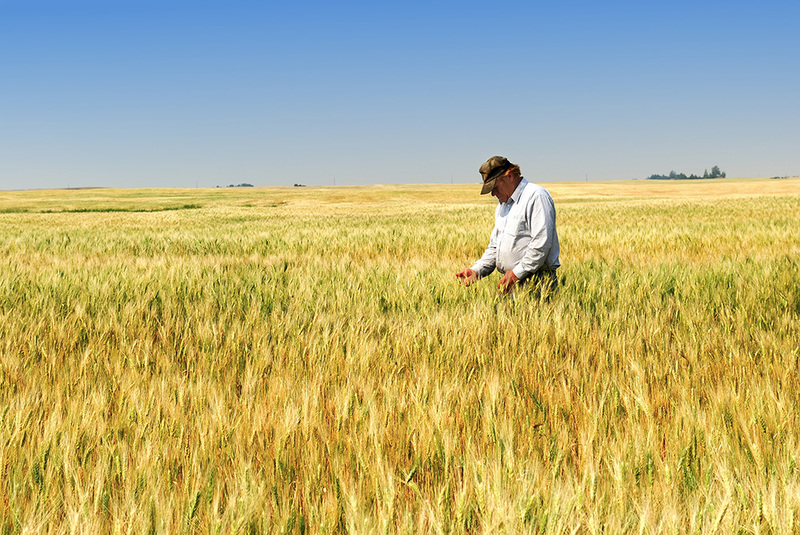 A Prairie farmer inspects his durum wheat field. Early support for government-regulated grain marketing in Canada was founded on Western farmers’ concerns with their lack of individual power relative to large and powerful grain handling and marketing companies. Farmers worried about unfair pricing by these companies, and did not want to be discriminated against in moving grain to market. These fears contrasted with the experience of stable, relatively attractive grain prices when grain marketing was regulated under emergency powers during the First World War. Farmers’ marketing concerns were reinforced by unstable low prices for farm products following that war during the Great Depression of the early 1930s. 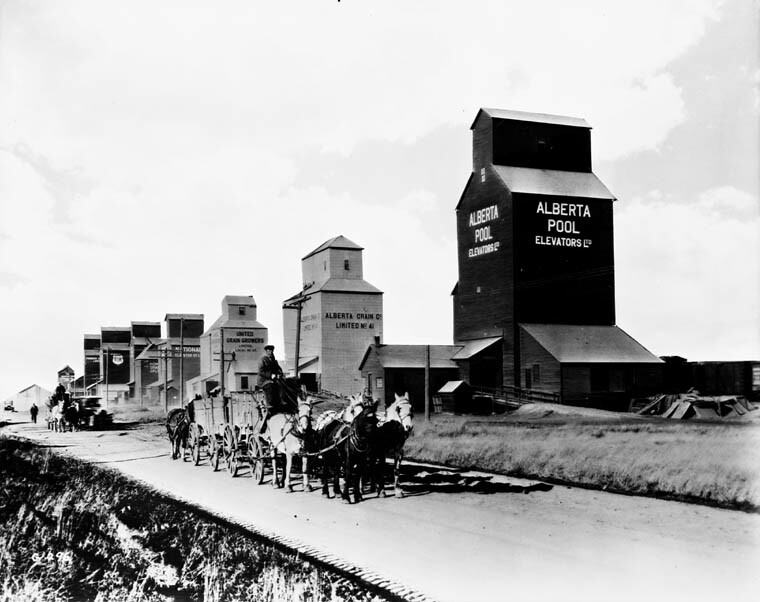 Farmers drive wheat to the grain elevators in Vulcan, Alberta, c. 1920-1930. Following temporary forerunners, which operated from 1917 to 1920, the CWB was established in 1935 as a voluntary marketing agency. However, selling Prairie wheat through the board became compulsory in 1943, in order to facilitate Canadian sales to Britain during the Second World War. In 1949, CWB powers were extended to include Prairie oats and barley. Changes in feed-grain policy in 1974 and 1976 led to the removal of the board’s exclusive marketing rights over interprovincial sale of Prairie grain to be fed to animals in Canada. Domestic and export marketing of oats, which had become a relatively small, specialized crop, were also removed from CWB jurisdiction in 1989. After the removal of control over oats marketing, the CWB’s role in marketing barley was widely debated. In 1993, barley export sales to the United States were briefly deregulated. However, with the subsequent election of a new federal government in the same year, this decision was reversed, confirming the CWB’s position as the sole buyer and seller (i.e., the “single desk”) for Prairie wheat and barley destined for export from Canada or for human consumption in Canada for the next 19 years. The single-desk model continued until August 2012 when, following the provisions of the Marketing Freedom for Grain Producers Act (passed into legislation in December 2011), the previous CWB Act was repealed and the CWB became a voluntary marketing organization. This change abolished the single-desk powers of the CWB, promoting a free-market approach to grain marketing and allowing Prairie farmers to freely sell their grain to any buyer, including the CWB. On 31 July 2015, G3 Global Grain Group closed its purchase of a majority stake in the CWB. G3 is a business owned by Bunge Canada (a subsidiary of a US-based agribusiness and food company) and SALIC Canada Ltd. (a subsidiary of a Saudi Arabian agribusiness company). The purchase created a new firm, G3 Canada Ltd. Like the CWB before it, G3 Canada is headquartered in Winnipeg, Manitoba. How Did the CWB Work? Until August 2012, the CWB operated a system of annual averaging (pooling) of producers’ prices for each of the different types and qualities of grain under its control. Under the pooling system, all the revenue generated from a crop year was deposited into accounts organized by type of grain. The revenue from these pools was then returned to farmers based on the average price received for the pooled grain, irrespective of where and when it was sold during the season. If the price of grain went up, farmers received the profit; if it went down, the government absorbed the loss. The CWB also regulated producers’ deliveries of grain to country elevators through delivery quotas and contracts, monitored grain markets and prices, and helped to coordinate delivery of grain to export ports. The board generally did not own or operate physical marketing facilities but used various grain handling and marketing companies as agents to handle and sell grain on its behalf, and also directly sold export grain to trading agencies of importing countries. Major arguments in favour of the CWB’s single-desk powers were that its position as the sole buyer and seller of all Western wheat and barley destined for export gave it market power in its sales to different buyers, leading to higher revenues for farmers. As well, its system of price pooling across all grain sales was seen as equitable in providing an average farm-level price to each grain farmer, regardless of where and when that season’s grain was sold. Those in favour of removing the single-desk powers of the original CWB, many of whom were larger entrepreneurial farmers, disputed that revenues were higher under the CWB and preferred being free to seek market opportunities that might increase their returns from selling grain. Merril W. Menzies, “Grain Marketing Methods in Canada—The Theory, Assumptions and Approach,” American Journal of Agricultural Economics Vol. 55, No. 5 (1973): 791–99. Michele Veeman, “Who Will Market Western Canada’s Grain?,” Canadian Journal of Agricultural Economics Vol. 46, No. 1 (1998): 1–16. 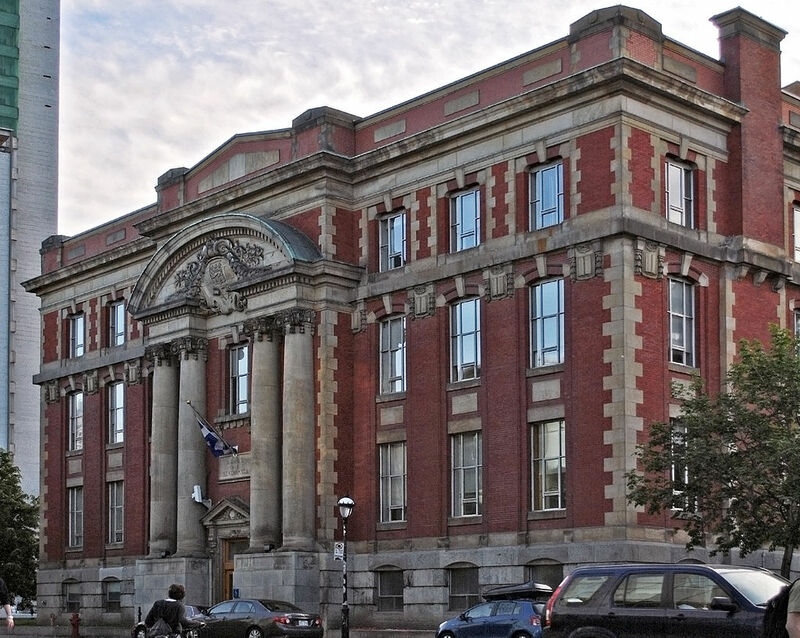 Parliamentary Research Branch, The Grain Industry in Canada, Prepared by Sonia Dakers and Jean-Denis Frechéte (1998). Revised 26 June 2001. PRB 98-2E. G3 CanadaFind out more about the company that bought the Canadian Wheat Board on their official website.